RE-PLAY is in Full Swing and We are Proudly Involved! Blog > RE-PLAY is in Full Swing and We are Proudly Involved! 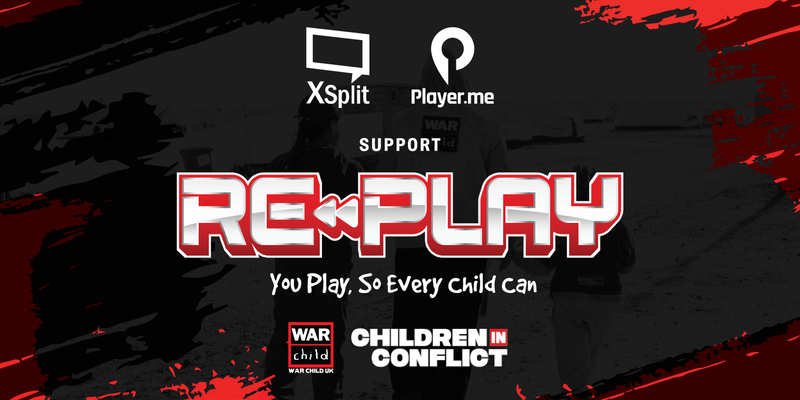 War Child UK has organised this campaign to get people playing and streaming retro games from their childhood and raising money to help children today who have had their lives torn apart by war. You can find more info here. We here at SplitmediaLabs firmly support this initiative and so do our XSplit Elites who are streaming and fundraising from the 12th April until the 26th! Player.me has also created a custom overlay which is free for anyone to use while they are getting involved in RE-PLAY. Already signed up to Player.me? Add the overlays directly to your account with these links! If not, signing up is simple and free at Player.me! We firmly support this initiative and we are proud that our community has rallied behind it! See you in the streams!